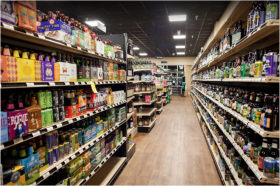 If you live near our stores, buy fine wine and craft beer online and select store pick up or take advantage of local home delivery. Conveniently have your wine order shipped to your home or workplace--or delivered as a gift to someone else. Most in-stock items are shipped or ready for store pick up the same day. Read more about shipping and delivery. Search for a specific product by name or browse categories and filter by region, varietal / style, and price. We have eco-friendly wines (organic, etc.) and rare finds from small-scale producers. More about our Fine Wine selection. From Tap Takeovers to our Rotating Selection of Craft Beer on Tap, we have beers from all over the world and local North Carolina breweries. Mix your own six pack, rent kegs, take home a Crowler®, or grab a cold one from the cooler. More about our Craft Beer selection. Each Triangle Wine Co. location hosts regular in-store wine tastings (from free to in-depth reserved-seating classes and charity events). Our events are announced via social media [@trianglewineco / #trianglewineco]. We have competitive prices on popular brands and new items are placed on sale every week. Save up to 50% on seasonal custom wine packs, or mix and match a 1/2 wine case (6 btls or more) and save 10% in our stores (please contact us for online wine case discount quotes).